At Montville State School the focus is to improve students’ reading skills and to engage effectively with the community. All learning areas, including the Computer Lab and Library, are now air-conditioned thanks to the amazing support of the Montville P&C and wider Montville community. The staff and students alike have certainly appreciated having climate controlled classrooms as the days heat up. The school has a rich history in developing the artistic skills of the students and is very proud to offer an instrumental music program. 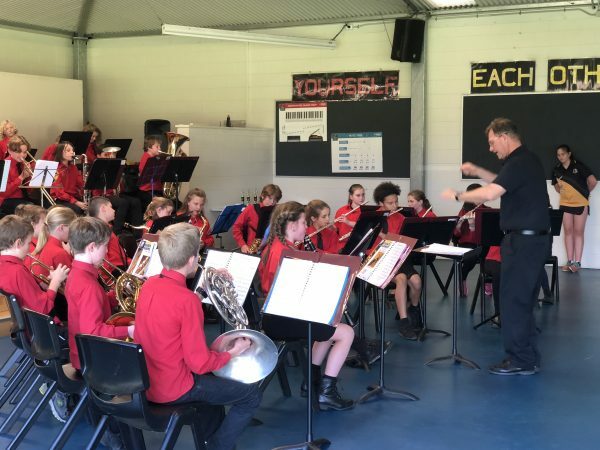 This program received a tremendous boost this week thanks to a $10,000 donation from Eric Anderson and Diana O’Connor that will go towards the purchase of new brass and woodwind instruments. The Year 3-6 students recently participated in the Small Schools Ball Games Carnival at Mapleton State School. This is an opportunity for the students to get together with students from other schools to demonstrate their sporting prowess and have lots of fun. It is incredible to see the number of volunteers in the school on a daily basis. Reading tutors work with the students every day resulting in enormous gains in all students’ reading ability. The school is always looking for volunteers to assist with the reading program, help out in the gardens or support learning in the classrooms. There is also a playgroup at the school every Friday from 9am – 11am. If you are interested in finding out more regarding volunteering or in enrolling your child for 2019, please drop in to the office or call on 54521333.